Viacom 18 Motion Pictures ventures into the animation space with Motu Patlu: King of Kings, which is the official adaptation of the classic comic strip on Lot Pot. Bollywood actor Sushant Singh Rajput launched the theatrical trailer of the film at an event in Mumbai today. CEO of Viacom 18, Ajith Andhare, when asked to comment on the failure of animated films in India, said, "Apart from the quality of animation in our country, I think Hollywood animation does not only appeal to kids but they actually address the grown-ups. All of us have loved a film like Jungle Book or Ice Age. Likewise, with Motu Patlu, we are trying to address a wider section of audience. 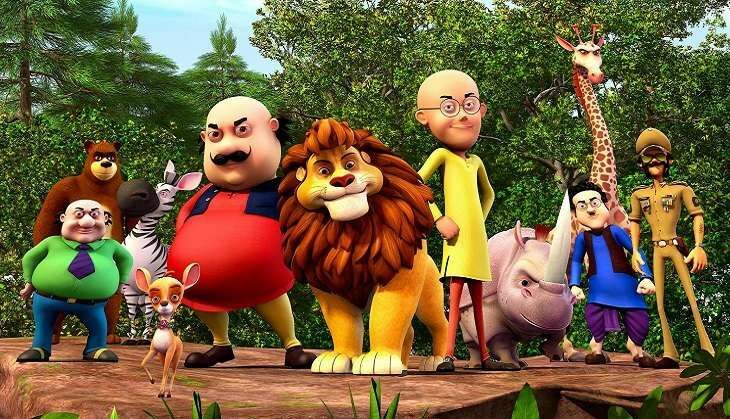 There is a familiarity of Motu - Patlu character amongst the audiences; an advantage which even Jungle Book had since people connected with Sher Khan. I think having that first connect and pitching your film to the entire family makes a big different." "We are eyeing a wide release on around 700 screens. The show timings will be planned in such a way that they will be viable to the families and children. This won't be a film with unusual show timings." The movie releases across India on 14 October, 2016.